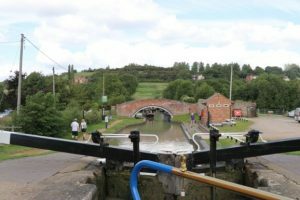 As part of our series of features on great trips and destinations you can visit with us, Chris Woodward tells us about one of his favourite trips – heading south from Braunston to Banbury. 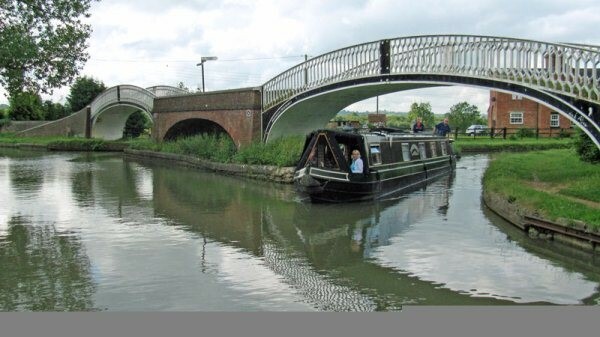 My favourite trip for a Monday to Friday cruise from our base at Braunston is to Banbury and back. 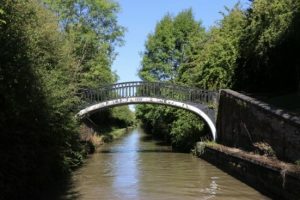 This route is very rural, and shows the nature of the early canals with some interesting features on the way to Banbury, a lovely town with great shopping, interesting history and leisure centres and open recreational spaces. Leaving our mooring at Braunston going west we have a fairly busy mile or two through Braunston itself with the marina on the left and a lovely view of the Church and the old Manor House on the right. Past the “Boat House” pub we come to the junction of three canals – the Grand Union Canal and the North and South Oxford canals, known as the “Braunston Turn”. Turn right and you go to Rugby, Coventry and eventually Birmingham. Turn Left for Banbury, and Oxford. Although you can go via Leamington Spa and Warwick to Birmingham by turning off this route about two hours away. The next two and a half hours gives everyone a chance to explore the boat, sort out their kit and relax with a cuppa. It is also the time to give everyone a chance to have a go at steering. Nothing simple like just holding on, this is an early canal and the route has a lot of bends to negotiate. Plenty of chance to show off some steering skills. 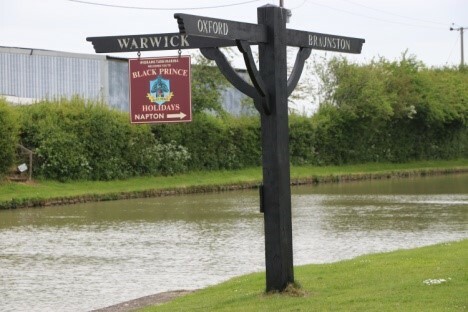 At Napton Junction we keep straight ahead for Banbury, the right turn is for Warwick. Another 20 mins on a narrow canal and we get to Napton Locks. I think these are some of the nicest locks around, set as they are in beautiful peaceful countryside and climbing 49 feet in seven single locks. I get asked how we are going to get the boat in. The lock only has about five feet extra length than the boat (and that’s to allow for the gates to shut) and about a foot in width. It is a tight squeeze but very satisfying when we get in. The lock mechanism is easy to work and the gates aren’t too heavy. Great for smaller young people (and oldies like me). As we climb up the locks looking back you have a lovely view of the village of Napton with its famous windmill on the hillside. On a sunny Sunday morning working the locks with the church bells ringing from the village is wonderful, unfortunately you don’t hear the bells ringing much now. About half way up look out to the left for some unusual farm animals; a large herd of water buffalo. Many of the local shops sell buffalo steaks, burgers, sausages, milk, cheese and ice cream. Once at the top you are probably about right to stop for the night. Either here at the top of the locks or nearer the next set about a mile away. A very peaceful locations. To start the next day we have Marston Doles locks, only two here and the last for a long time. For three hours after leaving Marston Doles we are on a very torturous route, at one point we have a hairpin bend and realise that over the last two miles following the canal we have only covered about ¼ mile as the crow flies. Great views – look out for the radio mast ahead and the windmill at Napton on the right, these can be seen for many miles. At Fenny Compton Wharf, pick up water. There are not many water points on this route so get it whilst you can. (The water point is right outside a very nice pub). Next is the very unusual Fenny Compton Tunnel. Unusual in that it is open and isn’t really a tunnel at all. It was until the roof fell in the mid 1800’s. Now it is a very narrow channel so watch out for boats coming the other way, in some parts it’s impossible to pass. Better to wait than have to go backward to somewhere you can pass. The five locks at Claydon drop you 30 ft down off the summit. 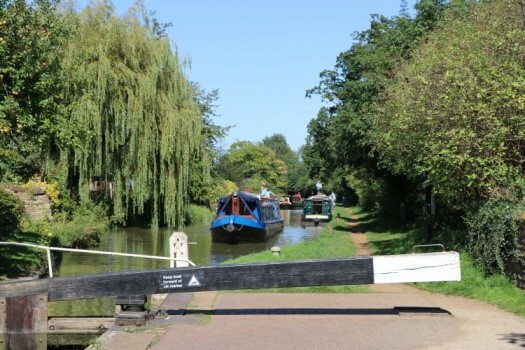 Then it’s a series of locks to take you down to Cropredy. 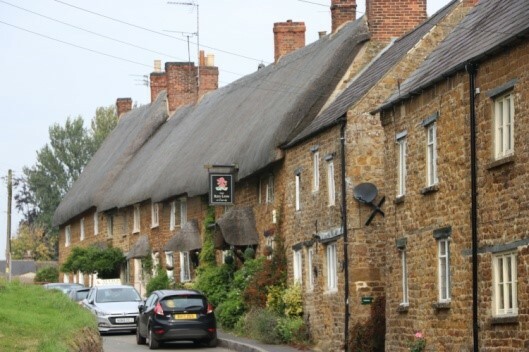 A very pretty village with many thatched roofed houses. It was the site of a civil war battle which was in a field right next to the canal (before the canal was built). Now it is more famous as the site for the “Fairport Convention Folk Festival” in August, when the village, the canal and every spare field is crowded with those attending. This is another good place to stop overnight, preferably above Cropredy lock although there are a few moorings below the lock. Don’t go too far down as below the last bridge is all private mooring. Day 3. Leave Cropredy and cruise on to Banbury. Only three locks and five miles so about 2½ hours. You should be there mid morning. Moor in the centre, good safe moorings, opposite the shops, easy access to the town and close to two leisure centres with swimming pools. Don’t forget to visit the Banbury Cross made famous in the nursery rhyme. Pity it’s only a copy – good old Oliver Cromwell pulled down the original. You need to start coming back late afternoon unless you want to put in some longer days for the return. Go thought the town under the lift bridge and down the lock and about a mile further on is the winding hole on the right to turn round It’s not easy to see and a funny shape. About ½ way to this by bridge 168 there is easy access to Morrison’s supermarket. Drop your shoppers off as you go down to turn and pick them up on you way back. 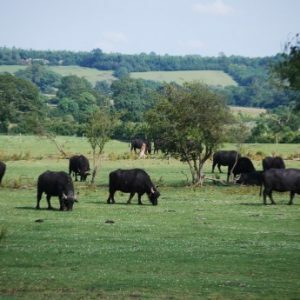 This is a lovely rural route that will tax your helming skills, allow you to have some busy and strenuous times as well as plenty of time to chill out to watch the scenery, view the wildlife and simply watch the world go by as you take in the peace and tranquility of the South Warwickshire/North Oxfordshire countryside. What could be better! TO FIND OUT MORE ABOUT THIS GREAT TRIP AND OTHERS, AND TO DISCUSS BOOKING A TRIP FOR YOUR COMMUNITY GROUP OR ORGANISATION, CALL US ON 07967 406 875 OR SEND AN EMAIL TO BOOKINGS@LNBP.CO.UK.